OK, so the big Turkey Day is coming. You’re about to get your grub on. Maybe you’ve never tried CrossFit. Maybe that’s just coincidence. But maybe it’s because you believe the hype. That’s OK, we all do at first…at least a little bit. Read a little bit of this wisdom from CrossFit Journal, though, while you’re letting the turkey and stuffing settle. And if you’re in town for the weekend or you live here and haven’t stopped by yet, come through for our free intro class, held most Sundays from 1 p.m. to 2 p.m. at 229 Bruckner Boulevard. Email or call us ahead of time to check and make sure the schedule’s the same — we’d love to see you! Experienced affiliate owners and coaches have been hearing these myths for years, and they’ve discovered ways to dispel them, helping people confront their fears and insecurities in the process. 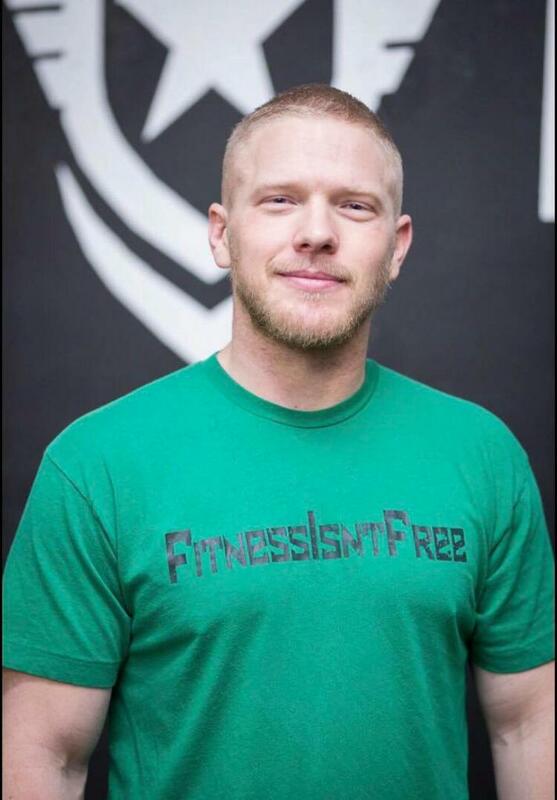 Chase Knight of CrossFit FIF in Kansas City, Missouri, said he’s had ample experience dealing with people—mostly women—who hesitate to start CrossFit for fear of gaining weight or getting too big or too bulky. A coach’s instinct might be to reassure the prospect she won’t get bulky, but Knight takes a different approach. Instead of confronting the myth, he confronts the fear behind the myth. Sometimes he even tells prospects they actually might gain weight, he explained. Knight also offers real-life examples of how weight gain can be welcome. This includes telling his own story: He was 160 lb. when he started CrossFit, and today he’s 190 lb.—yet his clothing is the same size and he’s leaner now. Shane Roehl, the owner of Rivertown CrossFit in Lake Stevens, Washington, said he’s had success dispelling the bulky myth by explaining that bulking up is a conscious decision that requires a lot of effort for most people, and size gain is driven largely by diet, not training alone. “You will not eat nearly enough food, or enough of the right food, to get bulky,” Roehl said he tells fearful prospects. “Our program will make you lean and mean,” he adds. 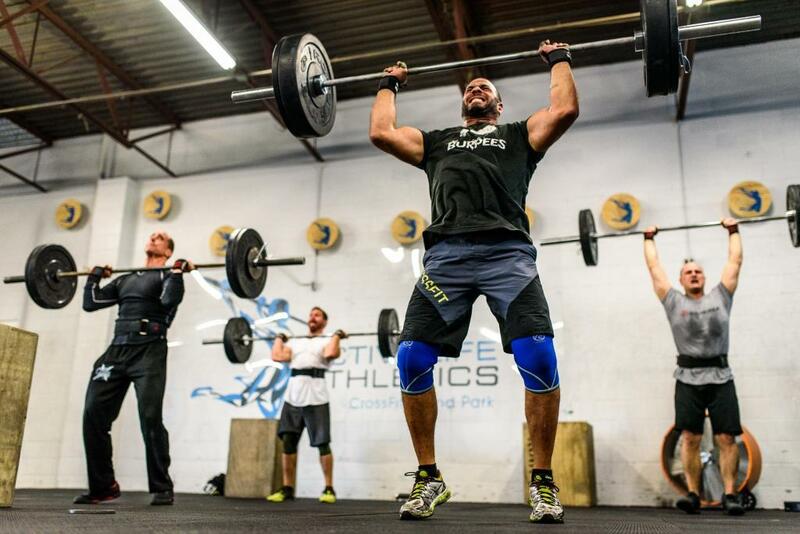 Jacob Hill, owner of CrossFit REP in Austin, Texas, takes the same approach. Fear of injury is sometimes the elephant in the room, and it needs to be addressed, Roehl said. Roehl said he doesn’t promise the prospect anything because injuries can happen anywhere—at the gym, skiing, hiking, getting out of bed or in the shower. Instead, he explains it’s his job to help the client become healthy and fit through constantly varied functional movements to decrease the chances of injury. “Injuries tend to happen when folks are attempting movements they either don’t fully understand or don’t have the capacity to perform due to some sort of physical limitation. It’s my job as coach to show you how to perform these movements to your ability in a safe and effective manner so you can do this for a long time,” he said of how he talks to a new prospect. 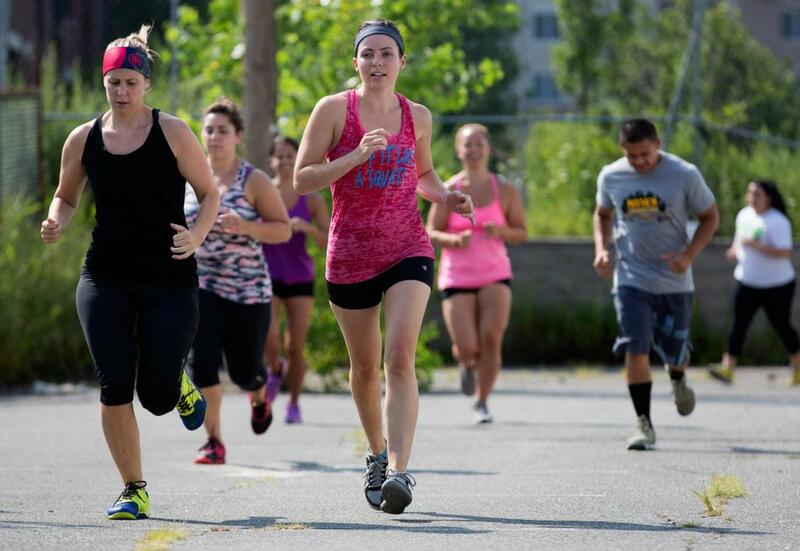 Karen Clark, the owner of CrossFit Amoskeag in Bedford, New Hampshire, also explains to her prospects that becoming more fit through CrossFit will actually make you less susceptible to injury. In fact, Clark said, most injuries she sees happened outside CrossFit and could have been avoided if the body were better prepared. “Every day, we are at risk of being injured. The stronger we are, the more resilient we are to injury as long as we remain within our ability levels and trust the process,” she said she tells prospects. The other side of the fence comes down to the prospect’s personality. A willingness to be humble is necessary to avoid injury, Clark explained. Coaches say dispelling the I’m-not-fit-enough myth largely comes down to educating prospects about the exact process they’ll go through if they join. 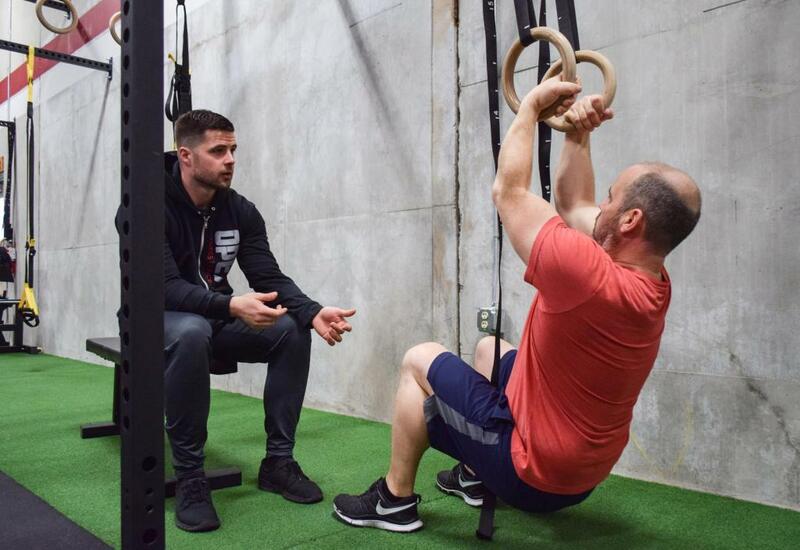 For Chris Collins of CrossFit Basingstoke in Four Marks, Hampshire, England, education starts the moment clients walk through the door. Collins explained that outlining the process helps them realize they aren’t being thrown to the wolves: Fundamentals come first, and new clients join the group classes when they’re competent in all movements and have an understanding of scaling. “This seems to put their mind at rest,” he added. Roehl said he then explains that improving health and fitness is a slow, gradual process that starts when an athlete learns what his or her body is capable of. 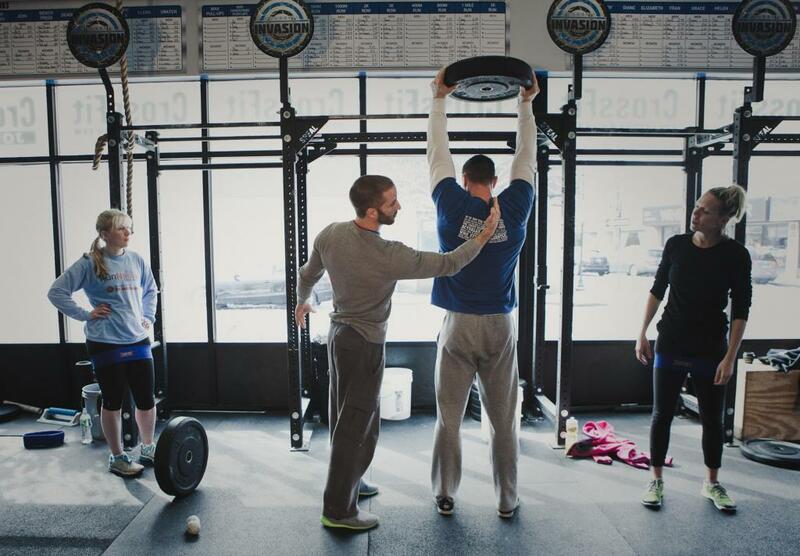 Meanwhile, Joseph McGowan of CBT CrossFit CrossFit in Salem, Oregon, has had success dispelling the myth by emphasizing the coach’s role in the process. “I had a client who had never worked out, and the sound of bars banging on the ground was enough to make her jump. What helped her make her decision to sign up was the fact that she would have a trainer that would be working with her three days a week, guiding her, encouraging her and congratulating her along the way,” McGowan said. McGowan explained he also dives into the concept of graduating from one movement to the next only when clients are physically ready. 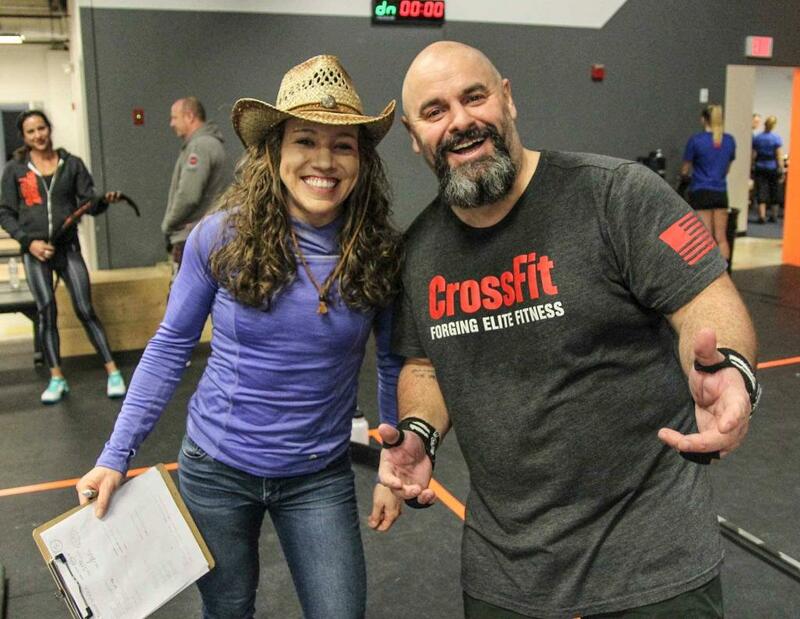 Though coaches have developed language and collected examples to dispel myths about CrossFit, Knight, a former interrogator with the United States Army, said it’s most important to individualize your approach and avoid becoming too attached to any one strategy. It comes down to communication skills. Thus, if you struggle to dispel the myths fearful prospects carry with them, it might be time to look at yourself and then develop new tools to help you connect with the person coming to you for help, Knight said.